It was Don : The chase begins again released in 2006; now it is Don 2 : The chase continues, to be released in upcoming months in 2011. Don 2 is a sequel which is set to be superhit as the previous part was really a great success. It is being starred by the bollywood superstar Shah Rukh Khan, Priyanka Chopra, Boman Irani, Lara Dutta, Om puri and Kunal Kapoor. A cameo appearance is played by Hritik Roshan.The music is composed by Shankar-Ehsaan-Loy. The director Farhan Akhtar is very excited working on this sequel and is really expecting much from it. Sequel Don 2 had been long ago decided just after the release of Don in 2006. It has also been stated that “Don 3 : The chase ends” will be released sometime in future which will be the last and final part of Don movie series. The shooting for this movie is almost completed. Shah Rukh khan will be seen in a very rough-tough look without any compromise in his Don style. The movie features the same don tune with little tweaks while the scenes are more exciting with the special effects and advanced modern presentation of the characters and environment. The international version is also being planned for international launch which would be devoid of songs and little drama. Many people are fans of the one and only Shah Rukh khan. People liked the Don in 2006, they’re eager to watch Don 2 asap. Read this website often as we regularly update this website with more relevant updates. this movie will be biggest hit .. srk will rock……. 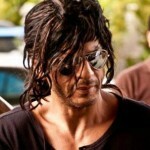 I am really waiting for this Don2-Blockbuster Movie, we know that SRK is really gonna Rock this Year ! Can’t wait to watch this movie! SRK Rocks….